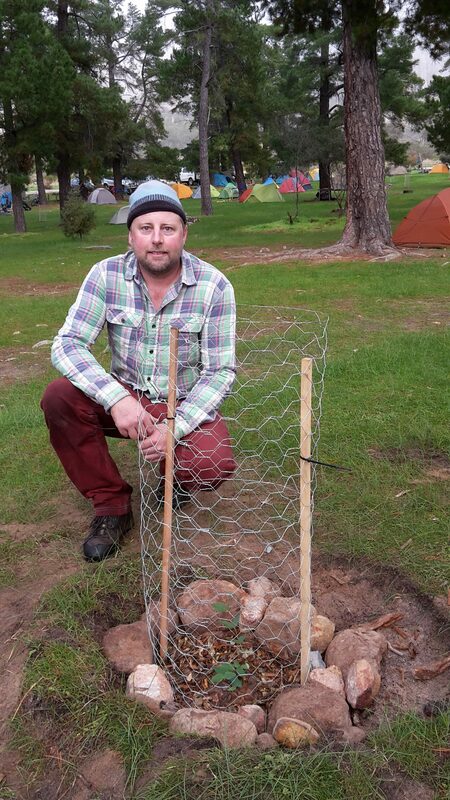 Nurture the new trees in the Campground and watch them grow as you return to the Mount in coming years! The tree watering and mulching will happen on the Saturday morning commencing at 0900. Once the watering and mulching of the trees is finished, we can head out climbing. This is a combined event involving the VCC, Cliffcare, Parks Victoria and Friends of Arapiles. For the climbing organisation, please contact Tara Laursen, who will be your VCC Trip Leader. For the tree watering and mulching, please contact Ollie Sherlock. Ollie next to one of the newly planted trees in The Pines. The Organ Pipes at sunrise.